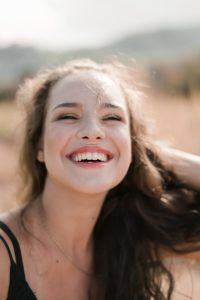 What is the difference between porcelain veneers and bonding, and what are the pros and cons of porcelain veneers? A. Cosmetic dental bonding is a process in which an enamel-like composite material is applied to a tooth surface, sculpted to an ideal shape, hardened with a light, and then polished. 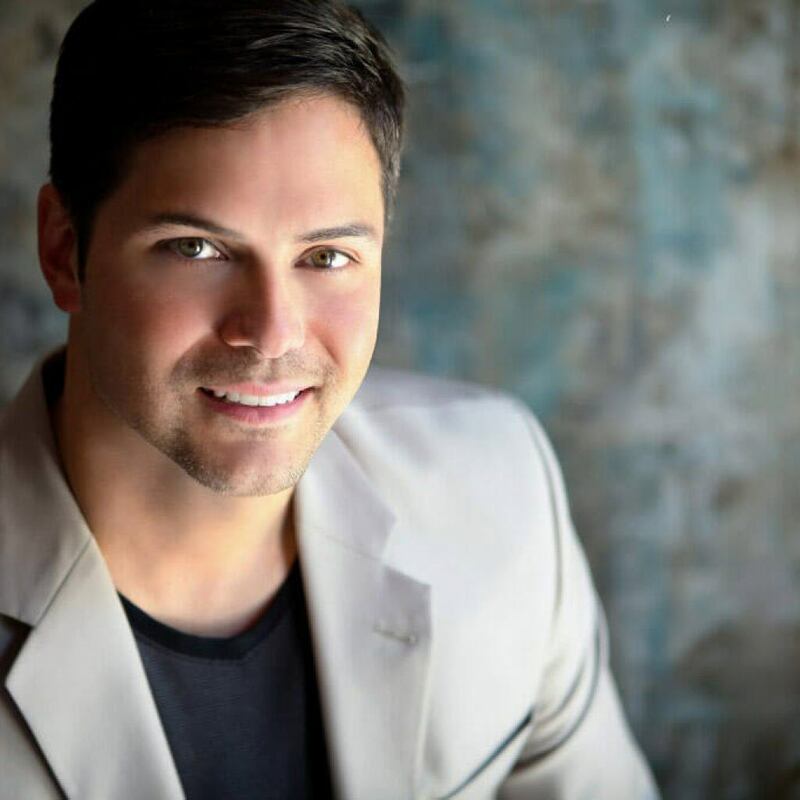 At our cosmetic dentistry office, our patients usually complete their bonding in only one visit. The bonding material is similar to plastic and can potentially become stained and chipped. Porcelain veneers are made of porcelain and are chemically bonded to the enamel of your tooth. The tooth is reshaped and an impression is taken. The process takes two visits, scheduled about three weeks apart. 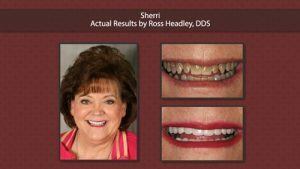 Porcelain veneers do not stain and are considered a more permanent solution than bonding. Porcelain veneers look like real tooth enamel. I have 10-year-old veneers that are very thick and I have never liked them. It took me a long, long time to be able to talk naturally. I have a friend who came to you for cosmetic dentistry and she looks fabulous. She, however, did not have existing veneers. Can you make over someone’s veneers to look natural? A. Yes. The old veneers will simply be removed. 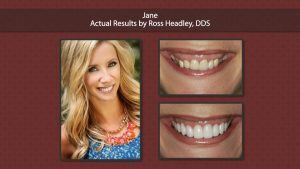 The new porcelain veneers will not look or feel thick. They will look and feel like beautiful, natural enamel. This procedure will take two appointments, scheduled three weeks apart. Your teeth will look just as beautiful as your friend’s. How is your success with teeth that have been stained from tetracycline? I know they can’t be bleached. How do you solve the problem? Do you normally just do a select few teeth in the front of the mouth? A. Although teeth whitening offers some degree of lightening when the stain is mild, tetracycline stained enamel will never bleach as well as normal enamel. The cosmetic solution is to cover the teeth with porcelain. The number of teeth covered depends on how many teeth show when you smile. I have bad breath. Not the kind that marketers exploit, the “real” kind! I brush three times a day and I don’t drink coffee, but I do drink diet pop. Two dentists have told me there is nothing wrong with my teeth or gums. They say my tonsils look fine (I’m 38). What can be causing this terrible breath? A. Gum disease is a major source of halitosis. With two opinions that say everything is dentally sound, you need to look at other causes. A dry mouth (xerostomia) which occurs by decreased saliva flow is sometimes to blame. There can be problems with your digestive system or your stomach. I suggest that you see your medical doctor. Over the years, I have noticed my teeth have slight gaps between them. What can I do to correct this? A. 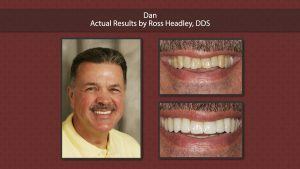 Most spaces can be closed successfully by the placement of porcelain veneers or porcelain jackets. The porcelain will give a beautiful natural look and will not discolor. 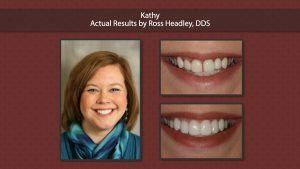 For more involved corrections, the Invisalign® invisible braces system may be the ideal solution. Are there other options besides braces for straightening teeth in adults? A. At our cosmetic dentistry office, non-orthodontic tooth alignment can be achieved by the placement of porcelain jackets or porcelain veneers. The teeth do not actually move, but the porcelain creates the illusion that they have. While veneers are helpful and fast for minor crookedness, Invisalign® invisible braces are the ideal way to straighten teeth without traditional metal or ceramic braces. Many of our patients comment that nobody even notices their Invisalign® aligners, and they achieve success in about the same amount of time as wearers of traditional braces.